Thank you so much for all you've done. This is now closed to donations. Agnes Luansing of the Wildfire Relief Fund has been added as a beneficiary. She will withdraw the funds directly into WRF's account. As soon as that happens, I will update here. Thank you! Nearly 100,000 acres of California have been devastated between the Camp Fire and Woolsey Fire in the Chico and Thousand Oaks areas, respectively. While rural northern CA is my home, I believe it's up to the entire state to come together and support one another in times of tragedy. With combined efforts we can raise more for each community than each community could raise on its own. To cast a wider net, this fund will support the Wildfire Relief Fund to help families who have lost family members, animals, homes, employment, or belongings. If you're able to take displaced families or animals in (including farm animals and horses), provide supplies, or volunteer time, please reach out at CDTeboe@gmail.com. The Camp Fire began late last night and has already spread to approximately 20,000 acres with 0% containment. All fire fighting and emergency services are being dedicated to life preservation, with none available to put out the fires. 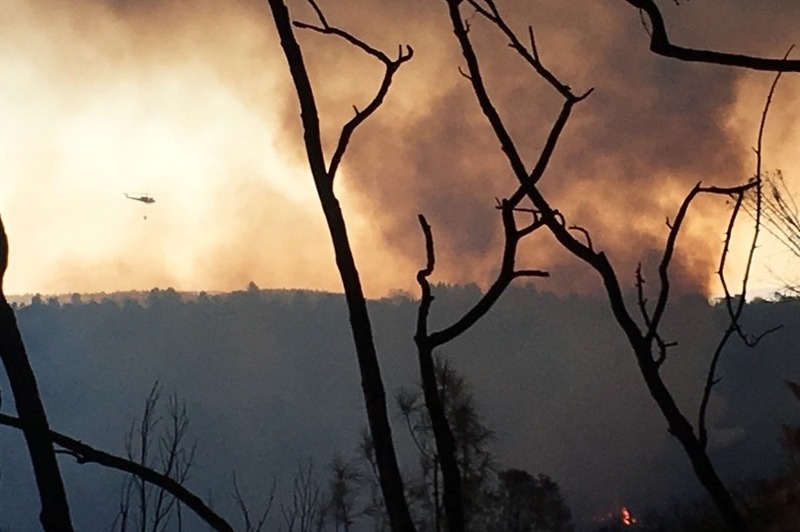 Paradise, Magalia, Concow are reportedly devastated and fully evacuated, with the fire heading down the Skyway to Chico. More will be evacuated and more will need a helping hand. Likely more than anyone can predict right now. Please donate. The funds will go toward providing resources to Cal Fire, and resources to those who have been misplaced or who's homes and livelihood have been completely destroyed via the Wildfire Relief Fund, and local organizations taking in refugees including The Jesus Center and others. In addition to donating, please contribute by sharing information on who is taking in the most refugees and needs resources most promptly. Go Fund Me has requested I fill out the following before I can withdraw these funds and direct them where they're needed. 3. No relation. Just a very concerned Californian who works in politics so I have connections to the donor base out here. They, Congressman Ro Khanna, and Jon Favreau have been huge in helping. 5. I'll deliver a check on film to ensure no funny business.